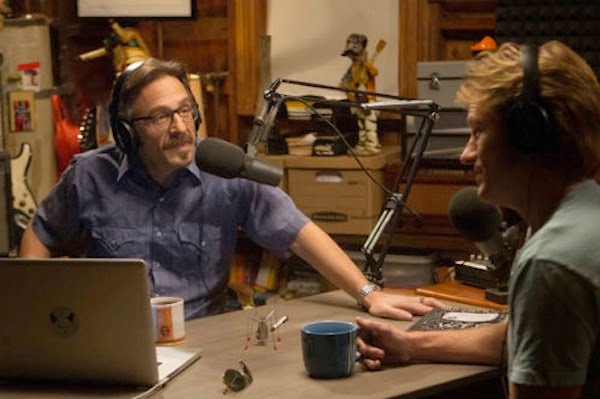 IFC today announced a third season renewal of original comedy series Maron, created by and starring Marc Maron. Production will begin this fall on 13 new episodes and will debut in Spring 2015. Maron is a fictionalized look at Marc's life and successful WTF podcast (www.wtfpod.com). Each episode of Maron chronicles the misguided attempts of a man who is trying to grow, but nevertheless finds himself asking, "We good?" The second season showed Marc struggling to sustain a meaningful romantic relationship, the public pitfalls of increased success and the difficulties of navigating the perilous waters of family dynamics. "Usually Marc has a hard time maintaining long-term relationships, but luckily not with us," said Jennifer Caserta, President of IFC. "He's committed to brining his wry humor and refreshing perspective back to IFC for a third season." "I am very proud of both seasons of the show and thrilled we're doing another one," said Marc Maron. "Through all the episodes I can see the growth and evolution of the character, writing and comedy. I'm excited about getting back into the process. The character of Maron needs some work on and off screen and fortunately that's what drives the show." "We're thrilled about being in business with Marc and IFC for season three, and gratified to offer even more viewers the opportunity to watch this witty and wickedly honest show," added Fox Television Studios Senior Vice President, Programming, Nancy Cotton. Marc is the star, creator, executive producer and writer of Maron, which is produced for IFC by Fox Television Studios. Apostle's Denis Leary and Jim Serpico are also executive producers, along with Michael Jamin, Sivert Glarum, Tom Sellitti and Olivia Wingate.